Tebak Gambar, challenging imagination, logic and reason. 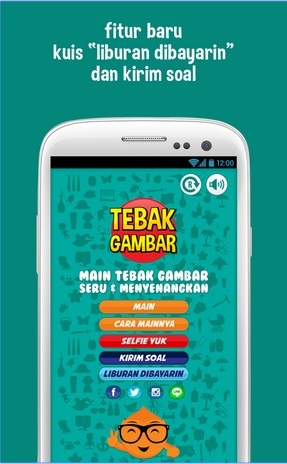 Tebak Gambar is a light brainstorming game, pieces of picture are set as they form new vocabulary, which is adopted from daily slang, funny phrase, or even any happening events. This game is so creative in testing our brains, in order to find the answers of questions. When one have succeeded in answering one question, you will get even more curious to figure out the next picture. Beating King is a main requirement to reach higher level. But watch out, don’t lose all ‘hearts’ because it will give you punishment. Let’s guess the picture, fun and amusing!